Gamay, Pinot Noir, Gamaret and Garanoir. A wine for hunters and gathers and lovers of Mother Nature. Lutry is a quaint, pretty little medieval town in the Vaud canton on the edge of Lake Leman. Its origins go way back in time to the Neolithic period. 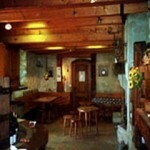 Every year in September it has a great wine harvest festival, which continues for three days. I highly recommend going. Nose – Earthy aromas mingled with cherries, cranberries, dried banana, and a touch of sage. Palate – A very desirable effect on the palate with flavours of spice, berry fruits and a slight herbaceous touch to it. Silky fine tannins and captivating warmth. A delightful blend of some of Switzerland’s main red grape varieties (Gamay and Pinot Noir). The Gamaret and Garanoir which are crossings of Gamay and Reichensteiner give this wine depth and complexity. 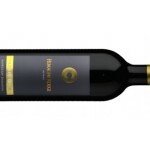 Food Match – With its earthiness, earthy type food is required or best with this wine. The perfect match would be a Hangi (food cooked under the ground used by the Maoris in New Zealand). A pit is dug, red hot stones are put in the pit, then food wrapped in leaves is placed on the stones and covered by the earth and left for hours to soak up the flavours of the earth. Nothing could be closer to earth flavours than that. But alas you would have to go all the way to New Zealand to obtain such a succulent tasty meal. So instead opt for earthy type foods such as root based vegetable dishes with fresh beetroot, jerusalem artichokes, yams, sweet potatoes and truffles if you can get hold of them. If you don’t have your own veggie garden and are having trouble finding these, I can advise to go to some of the local farms in your area that often sell these vegetables fresh on the spot. See link below. One example of this in the Puidoux Mt Pelerin area is the Ferme de Primapraz which is open daily and has all the old revived vegetables – they even have purple and yellow carrots. Regarding earthiness – believe it or not, soil cooked in various different ways is now actually part of the menu in some gastronomic restaurants around the world. Here’s to getting back to nature. Mood match – Still too cold for a picnic. Be in a merry and relaxed mood over lunch with a group of friends in a cosy farmhouse with stunning beautiful views over the countryside. After all Plan Joyeux means a merry plan. Tip: If the cork breaks in half when removing it, pierce the corkscrew in at an angle and you will be able to retrieve the other half of the cork without it breaking. 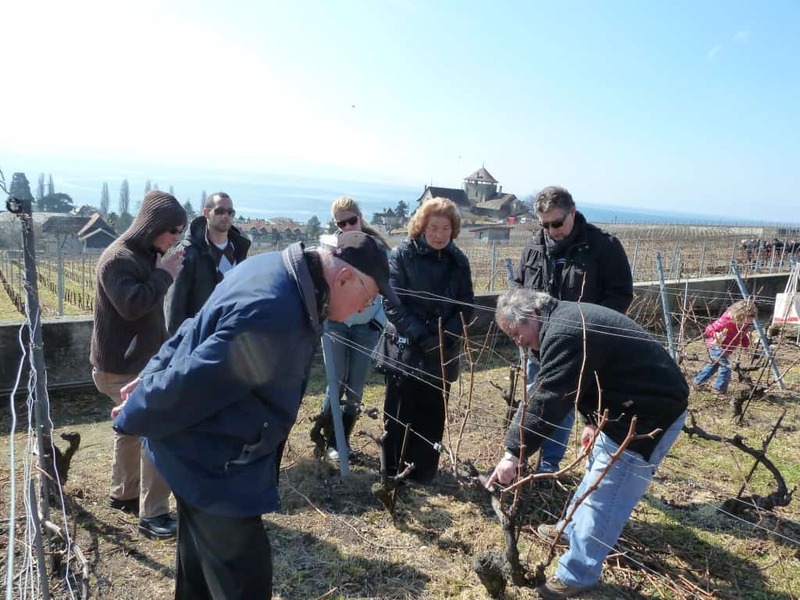 If you’d like to learn more about the local Lavaux wine scene then come along to the Terres de Lavaux vine pruning day on Saturday March 7, 2015. Pruning day is a unique event that invites friends of our cellar to come along once a year and prune the vines with the assistance and advice of professional winemakers. 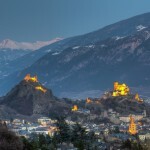 They will also have the opportunity to fill their own personal bottle of Chasselas with the new vintage from Lutry and enjoy an excellent bolets risotto cooked in a copper cauldron over an open wood fire. 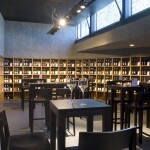 Guests can also enjoy tasting all of the numerous Terres de Lavaux wines and the assortment of various European wines from our partner Eureka wine. For more information on this event click here.